In today’s NHL rumor rundown, there are updates on Joel Quenneville and future prospects for him to coach again in the NHL, the Ottawa Senators are looking to bring over one of their college prospects, and the New York Rangers have plans regarding their rebuild heading into next season. 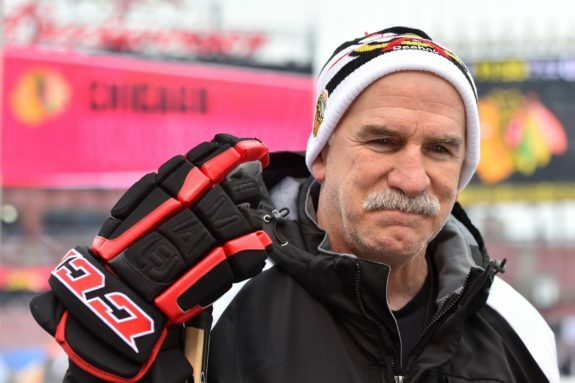 Former Chicago Blackhawks head coach Joel Quenneville was fired earlier this year and while there was speculation he wouldn’t be out of a coaching job very long, things have been fairly quiet on that front. He recently told Dan Roan of WGN9 that he’s getting the itch again. Quenneville will be one of many coaches available for vacancies this offseason, but he may be among the most coveted coaches potentially available. At 60 years old he has an 890-532-77-137 record over his career, has won the Stanley Cup three times. 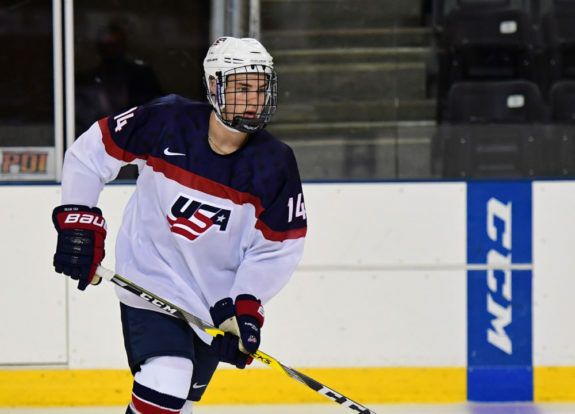 Sportsnet’s Elliotte Friedman reports (video link) that the Ottawa Senators are likely to try and sign prospect Josh Norris, convince him to forego his final two years of college eligibility and join the NHL organization. Norris is currently injured so he wouldn’t actually join the team and play any games to close out this season but the Sens would like to bring him in with the expectation that he’ll not be going back to college. There will probably be questions by some about this approach considering he isn’t eligible for the Seattle expansion draft and his injury has caused him to lose development time. He might be better served staying where he is and if he struggles after coming over, it will be considered a rushed move by the Senators. According to Aaron Portzline of The Athletic, the Columbus Blue Jackets will soon be signing goaltender Elvis Merzlikins to his entry-level contract. The expectation is that Merzlikins will immediately join the Cleveland Monsters of the AHL and debut next weekend. Merzlikins will factor heavily in the Blue Jackets’ plans in the post-Bobrovsky era, but it’s unclear if the Jackets would rely on a Merzlikins-Joonas Korpisalo combination next season or if they’d seek to add a veteran via free agency. It appears unlikely Merzlikins will play in the NHL this season. Merzlikins is an interesting player to watch because he’s going to be a restricted free agent with no NHL experience and it will be intriguing to see what the Blue Jackets give him on a contract extension. 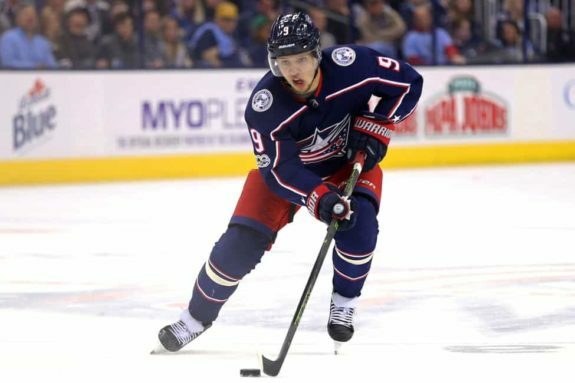 While the team is going through a somewhat public rebuild, Friedman believes the organization is looking at speeding up the process exponentially by landing a couple of big fish this summer, Artemi Panarin among them. “I think it’ll be interesting to see Panarin, I think they’re going to take a big run at him. We’ll see what else is out there,” Friedman said.